Hey guys! Reeze here with the Field- Op #29 cheats. 1. Go to the EPF Headquarters and click the yellow screen at the top right. 2. Go to the forest and move your mouse over the boulder at the bottom left. 3. Go inside to the bottom left corner. Congrats! You have won a medal! Chilli whenever I post something, the title never stays! Im in the contest!!! 😀 Its soo awesome when are we gonna meet because you have to know this is me to give me the membership code. Coment when you want to meet me. When are you guys gonna send me the membership code to my e-mail !?!?!?!!!!! Why did u guys lie? 😦 You guys havent send me the membership code!!!! Screenhog Talks Festival of Flight Party! Hello Penguins! Screenhog, a Club Penguin moderator, made an update on the Club Penguin blog today. In a couple of days, the Club Penguin island will be flying in the sky! What happens to the Beach or the coastline of the Cove? Can penguins still play Hydro-Hopper? And what does a device powerful enough to lift an entire island even look like, and where would we put it? Sounds like this party is going to be sweet! Can’t wait until then! What a cool sneak peek! I can’t wait for the Festival of Flight Party! Aqua wins the Color Vote and Newspaper Upcoming Events Issue #199! New Newspaper! Aqua Wins! 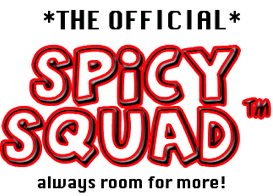 New Party Announced! Festival of Flight! New Club Penguin Room Spilled out? After a long time of waiting and cheering for your favorite color, the color has finally been announced. 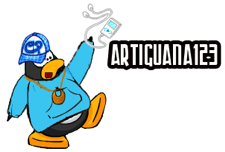 According to the Club Penguin Times, Aqua has won and you will see it in the new Penguin Style Catalog on August 7. I wanted Maroon to win, but oh well, maybe next time. Now for all the new events coming up! And what is this Underwater Adventure? Club Penguin didn’t talk much about it. Is it a new theme going around here? Or does it appear to be one of the 2 new parties coming up? An Underwater Adventure Party? New Better Igloos Furniture on August 21st! Here is what Gary has to say about it: Did I hear flying in the sky? That’s all for now! Isn’t this some great news! I was just catching up on my reading when I realized there is going to be a secret base that Gary is going to be working at! Is the tallest mountain going to be the new room everyone is talking about? Wow a Base of Operations! Check out the text and picture below. I can’t wait until all of this news comes out! Woohoo! 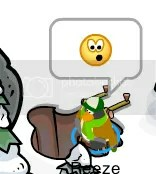 Another Club Penguin party! Heehee. your website is more reliable than google. i am very excited for the new parties and possibly a new room! Thanks dude! Heehee. Wow, so you had a hard time finding this info on google? Surprising, glad I was the source that came up. Thanks for the nice comment. I’m glad your excited! 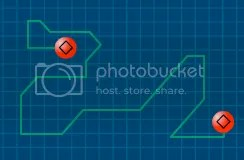 A New Club Penguin Mission and Lighthouse Stage Coming Soon? Hello Penguins! Club Penguin has finally decided which “reviewed by you” comment was the best. I dont really know. All of them are amazing! !i think it might be the live music in the lighthouse because you can hear your own music. for example you play the drums and you hear the sound of drums playing. CP ROCKS!! Since so many people wrote about the Lighthouse and being able to hear your instrument, Club Penguin has been working to make the Lighthouse stage a place where you’ll always be able to hear some of the instruments you play! 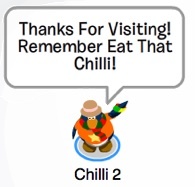 Hmmm… and also I think Club Penguin gave away a huge hint. Have you read the article about Gary the Gadget Guy in the new Club Penguin Times today? Gary wants to change the windows in the Pool! Why does he want to do that? We just had them fixed, didn’t we? Remember at the last Water Party we had? This seems to be a hard thing to! I’m guessing we will have to help Gary with it…does that mean a new mission? Oh boy! Oh boy! Club Penguin says they will have an update next week! So stay tuned! I can’t wait for a new mission and a new lighthouse stage! It’s always fun to help Gary, isn’t it? I have already completed all of my missions, have you?